Your clients are being pressurized everyday by the Managed Health care contracts to reduce their costs and as a result you get pushed into further reducing your costs. It is about time you take control of the situation. 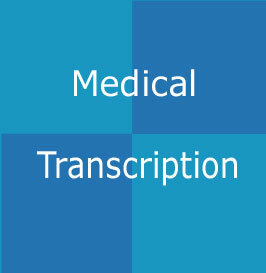 Accolade can help you in reducing your transcription costs and yet maintain the quality your clients are used to. The confidence and flexibility of working with a partner who can deliver service for 24*7 time all the year round. Being almost 12 hrs. ahead of US time zones we work when you sleep thereby ensuring round the clock availability. Confidence of working with a partner committed to providing quality transcription - our centers are staffed with over 100 transcription professionals. Complete and accurate records and correspondence, ready when you need it. Electronic copies of your client's transcription ready next day morning for you to deliver to your client. We can even upload it to your client's server directly if you wish. We will return your inquiry in no time!